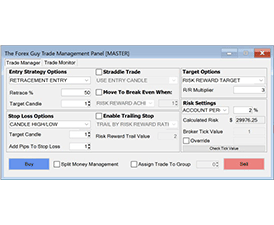 More and more traders are making the smart move towards swing trading. Everyday I receive emails from traders interested in a medium, or long term approach with price action trading. It’s the same reoccurring story – they’re not coping well with the scalping, or day trading systems they were lured into. I understand! Fast paced strategies: are mentally taxing, very stressful, demand a lot of your time, and can lose you a lot of your hard earned money. Most traders who contact me are thirsty for an understanding of market movements. 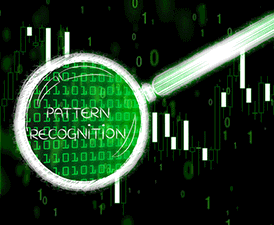 They want to be able to ‘read’ a price chart with no indicators, and utilize that knowledge to perform more accurate forecasts for price movements – this is where the power of price action analysis and swing trading really ‘resonate’. I know you’ve probably been butchered by trading systems that utilize ‘black box’ indicators, which churn out confusing data onto your charts that you can never fully interpret, or build up your confidence with. This is why most traders eventually find their ‘calling’ with price action trading methodologies. Swing trading executed with price action analysis is a very effective way to trade the market, mostly because it ‘makes sense’ – you actually understand your trades which builds up your confidence tremendously. Moving forward, I would like to share you some powerful price action tips that you can use to really improve your swing trading. 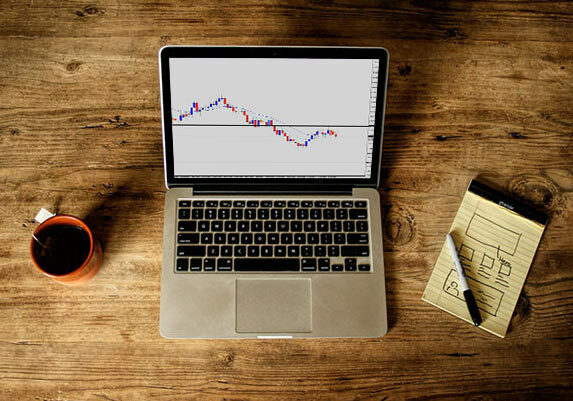 One of the most important skills you need to learn as a technical trader is the ability to read the market structure and incorporate it into your analysis. It’s a basic skill that many trader’s neglect and don’t factor into their decision making process. The reason I believe it is so discounted, is this: it’s a basic facet of technical analysis, and because it is basic – traders don’t view it as very important, but the opposite is true. The market structure communicates the current environment which price action is operating under. Want to know if the the market trending, ranging, or maybe trending inside a much broader range? What about sideways markets, is the market consolidating? 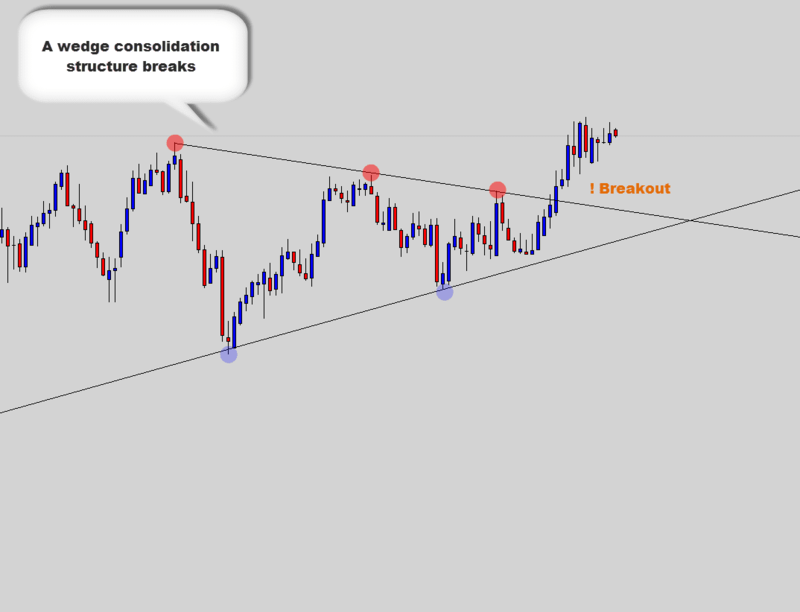 One reason understanding market structure analysis is so important, is that there are many consolidation structure patterns that can produce very explosive breakouts! These are the kind of the questions which can be answered quickly with simply. The way I teach to ‘highlight’ market structure is to allocate yourself two levels. Those levels can be in the horizontal or a trend line form. With those two levels, go onto a clean price chart and map out the major containment lines of the price action. 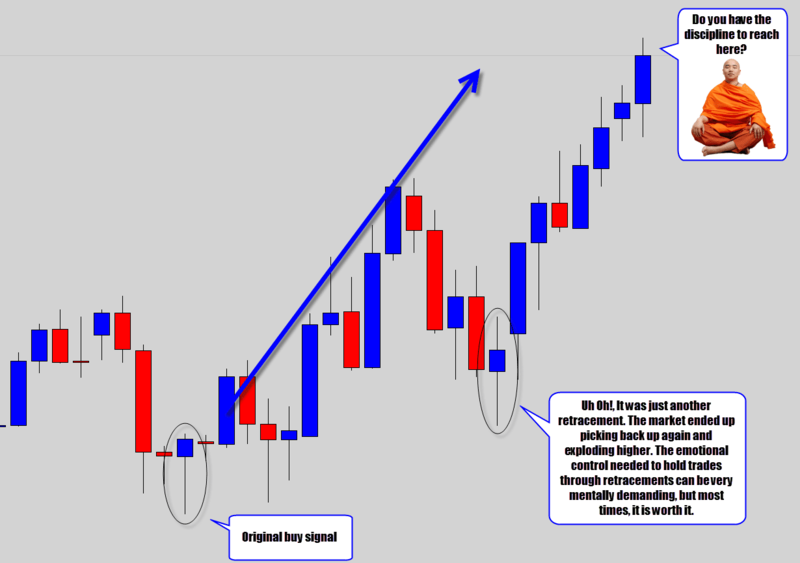 When you mark these levels – it should have an immediate impact on the way you view the chart. The chart should jump out at you, providing more clarity from which the rest of your technical analysis can build onto. Notice how I only needed the two levels in order to accurately illustrate the price action situation on this chart? Now the chart has some meaning – the catalyst for some powerful analysis. 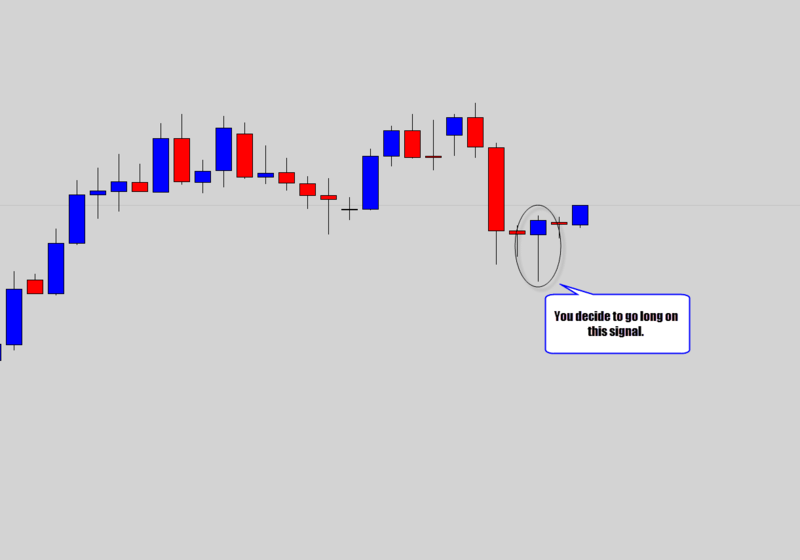 See how I used two levels to ‘contain’ the price action and highlight the market structure? If you can’t get a clear view, sometimes it’s better to switch to the weekly chart and get your structure points from there. This is called the ‘top-down analysis’ approach, and I use it in all of my price action analysis. Note the bullish rejection candles that formed right on the major market structure support. This communicates to us that the structure level is being respected and wants to hold via strong bullish evidence. Once you get a strong reversal signal at one of these important levels – it makes a very good candidate for going counter trend, and taking a shot at catching a massive reversal. Remember, trading is all about exploiting high probabilities. When big reversal signals form at big structure levels, you’ve got yourself a high probability trading opportunity. 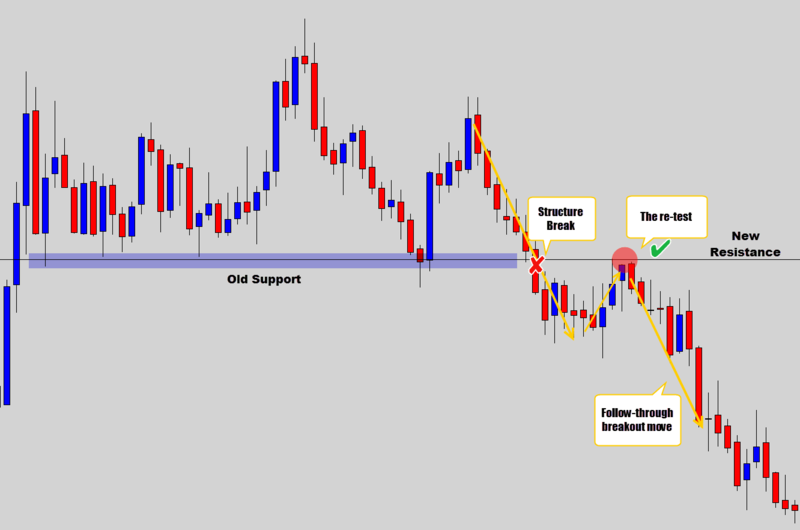 When trading from ranging structures, the most profitable signals will form at the range structure boundaries. Above is a very nicely structured ranging market, very clean bounces from top to bottom. Some very nice price action reversal signals did form at the range boundaries that kicked off strong reversals. I know I am going to get asked about this: Yes! 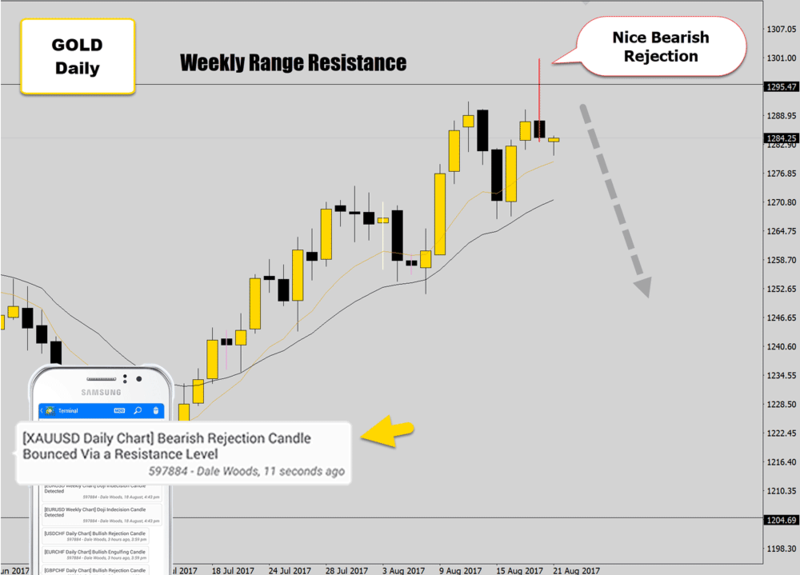 that is a rejection candle on top of the range, even though it doesn’t have any upper tail. You’ve got to factor in the market open ‘gap up’ which was rejected by the market. One important thing to note is the structure break. When market structures are broken, they can cause very violent breakouts! 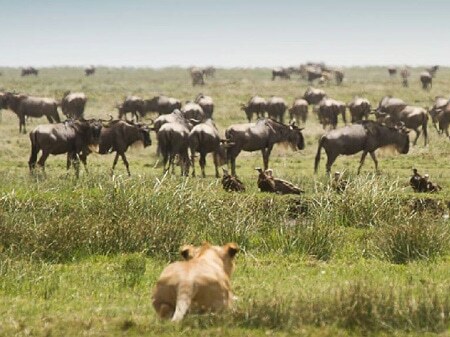 Consolidation structures are not really much good to us in terms of trading opportunities – but when they develop they should be a big red flag that something is coming. 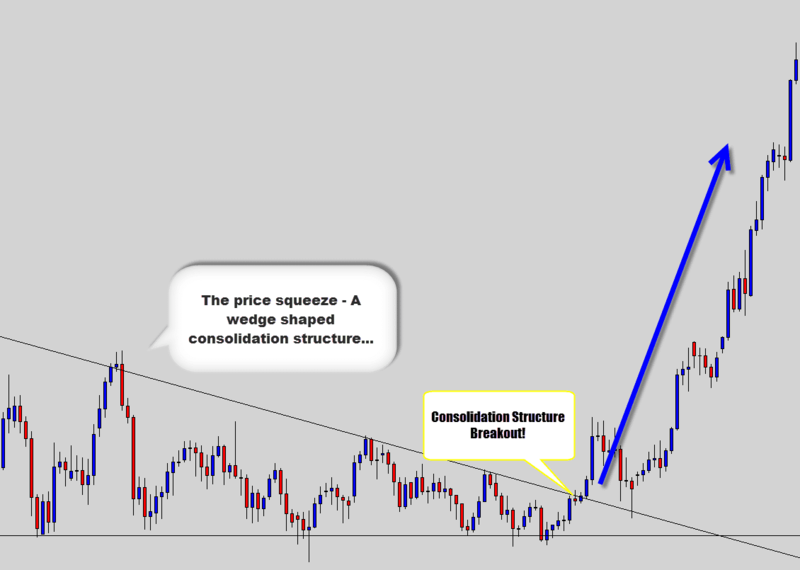 Generally when price finally breaks strong consolidation structure patterns- the breakouts can be quite explosive. 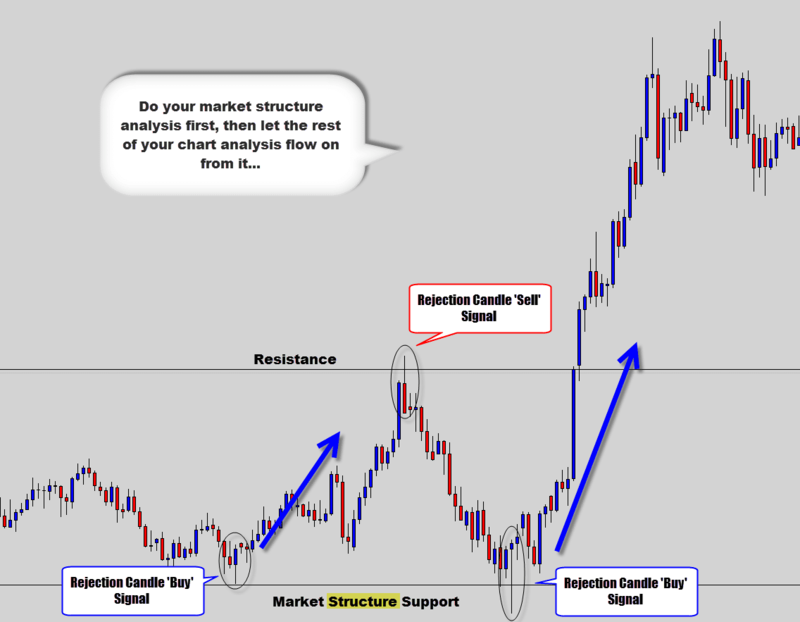 Market structure analysis should be a very important part of your price action trading. 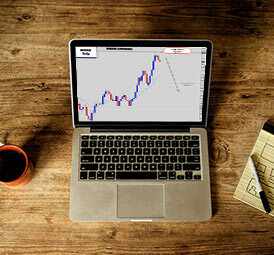 Every time you look at a chart, it should be the first part of your analysis that you execute. It will provide a good ‘starting point’ for the rest of your technical analysis to build on. Market structure will tell you where the major turning points of a market are, whether trading conditions are ideal, or to help you plan for a major breakout. In this section I would like to talk about trending market structures. Most of us know the old adage ‘the trend is our friend’ – so why are most traders losing money during these money making conditions? This can be boiled down to a few key reasons, but one of the biggest in my opinion is traders are constantly entering the trend ‘out of position’. We’ve still got to keep Forex trading as simple as possible and respect the basic principles of trading, and one of those is to ‘buy low, sell high’. I see a lot of traders ‘buying high’ in an uptrend, and ‘selling low’ in a downtrend. This can be a very high risk move, and they soon find out how unfriendly the trend becomes. It will become evident that timing is important for trend entry, in order to buy low, and sell high – you need to take advantage of counter trend retracements. In contrast, if you buy signals that didn’t make a new low, and are even possibly making new highs instead – you’re ‘buying high’, and putting yourself at risk of being ‘too late’ in the move and getting destroyed by a counter trend retracement. The example above gives a good illustration of a bearish trending scenario. Notice how the top two rejection candle sell signals created new swing highs – giving you “the price action trader“, the opportunity to ‘sell high’. It maximizes your chances of catching a nice reversal move. Further down the line another reversal candle developed, after the main sell off had occurred. The signal was creating lows, communicating that you’re ‘buying low’ in a downtrend. You’re ‘out of position’ here, and it’s not a good place to position yourself into a trend. This is why so many traders are losing money in trending conditions, because this one simple rule is overlooked, or neglected – as you can see, there are big consequences for that. As you can see this low quality sell signal formed at the bottom of the move and was destroyed quickly by a counter trend retracement. 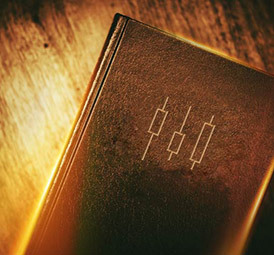 To maximize your chances of catching a reversal in the market, or positioning into a trend correctly – you need to follow the golden rule of ‘buy low and sell high’. There are too many traders ignoring this rule and are getting punished by the market for it. This is mainly due to the ‘tunnel vision’ syndrome, where traders focus too much on candlestick signals and prioritize them over good old market analysis. 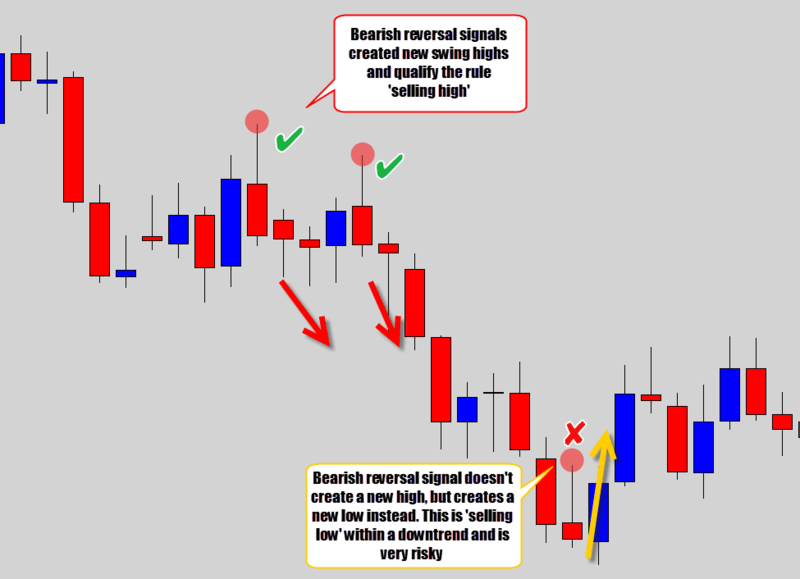 Some of the most profitable swing trades occur when the market re-tests important technical levels on your chart. This is basically one of the core fundamentals of swing trading, you’re watching for important levels that once previously held as one property to be respected as another. This means old resistance, new support – or, an old consolidation containment line now being used as a stepping stone for a breakout. In the chart above I’ve drawn a trend line. It’s not in the scope of this picture, but this trend line was holding as strong structure support for quite a long period. Notice how the trend line structure was broken, then the market returned back up to re-test the trend line structure – but, this time respected it as new resistance, whereas it was previous support. This is a very hot event for swing traders, and it is these kind of ‘re-tests’ that produce very good trading opportunities for price action traders. 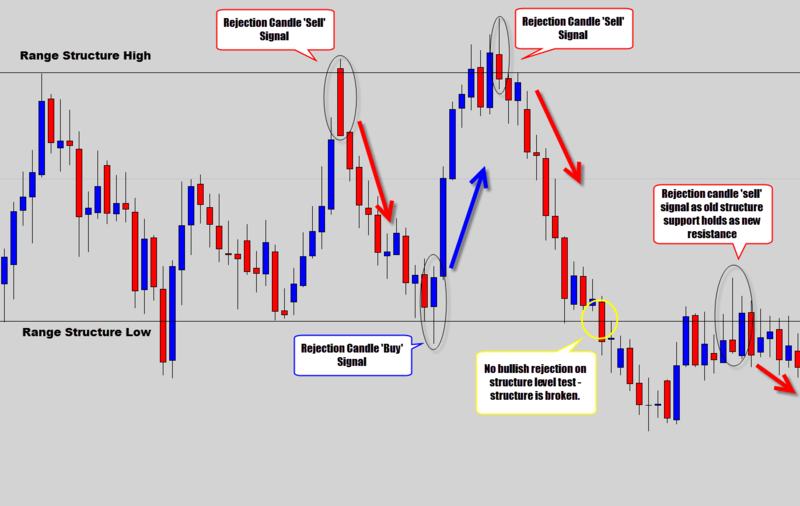 In this case, a rejection candle sell signal formed out of this event, creating a very profitable trade opportunity. In this particular scenario, the trend line structure was broken through again, and price re-tested the trend line to hold as new support. Again, on this re-test event there was a strong looking rejection candle buy signal, generating a nice bullish follow through move. The chart above shows a strong structure level that was breached. Notice how the market came back up to re-test the technical level it broke out from, and the level was respected as new resistance. I call this the ‘breakout and retest’ event and it basically creates a ‘sweet spot’ for swing trading opportunities. 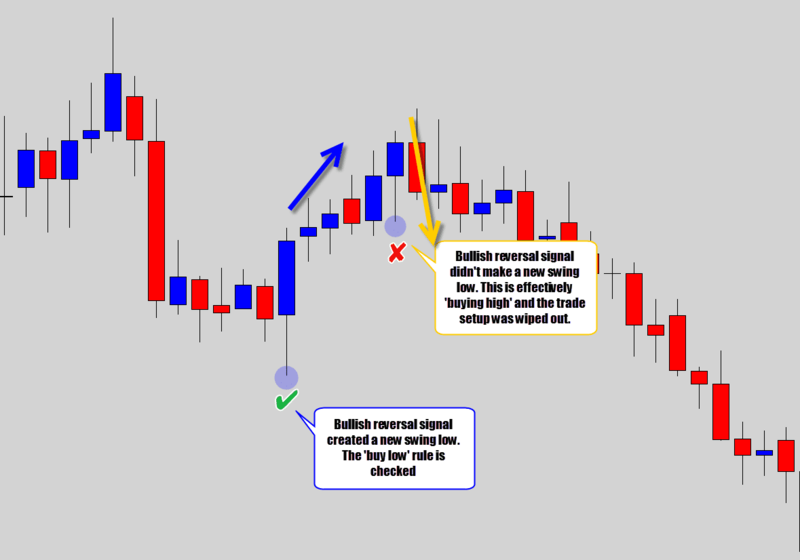 In this example there was no finishing trade signal that I can see that would have triggered me into the move, but there could potentially had been something on the 4 hour chart that we could have traded at this hot spot. If you’re serious about swing trading, you’ve got to watch for these breakout and re-test events. 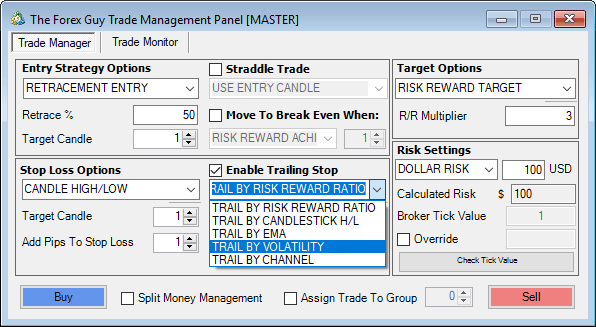 Go back through your charts and see how many powerful moves they kick off – they are one of the most powerful trading opportunities presented again and again. 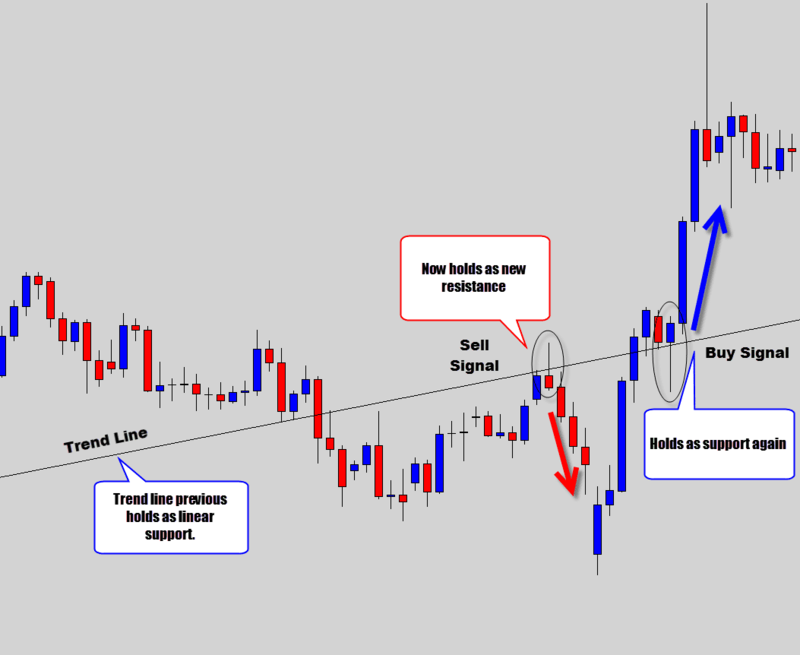 When a long term consolidation structure level is broken, and re-tested from the other side after a breakout – it creates a very powerful trading opportunity for swing traders. You only have to look at your chart history to see the mammoth moves these high impact price action events can generate. Once you’re in a trade, a new wave of psychology takes over your mind. I notice a lot of traders don’t have the discipline to see trades through to their target levels. This is why high frequency trading is appealing on one level, because it helps traders avoid their fear of being in the market too long. Scalpers and day traders think it’s dangerous to hold trades trades for too long. 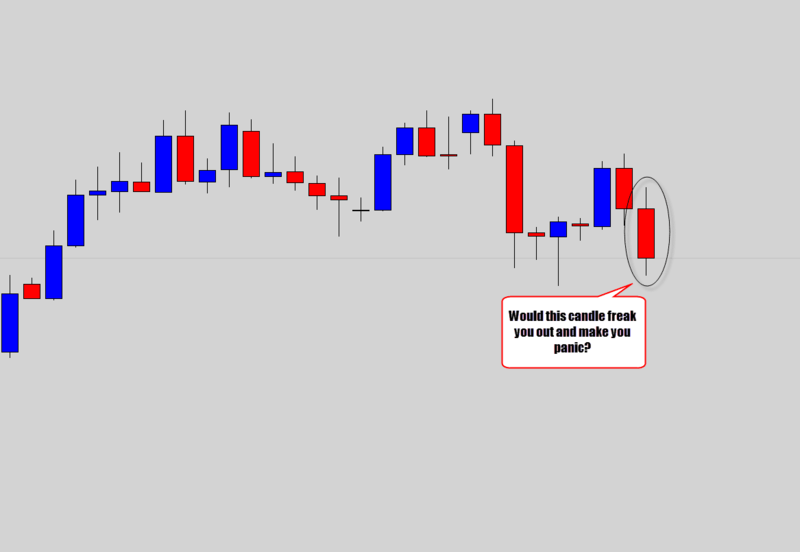 The common reasoning for this is – “the longer you’re in a trade, the more you expose yourself to risk of loss”. Now while that’s true to an extent, it’s mostly a play on words. I’ve made most of my money while holding trades for a longer period of time, riding bigger moves out in the market. If there is no risk, there is no reward, but if you really dig deep – you will see that high frequency trading systems are very risky. Generally a swing trade could last for months, or it could last 3 days – it just depends on how fast the market is moving. Some bearish markets move so fast you can hit big targets very quickly. The most important thing you can do is give your trade the time it deserves to reach a logical target. We know price doesn’t move from point A to B in a straight bee-line motion, it zig zags, side steps, and stutters. Lets have a look at a trade example. I chose to show this example on a USDCAD trade, because this market can be a real b*tch to trade. The CAD is known to be unstable, it whipsaws a lot and can take that extra bit of discipline to trade successfully. So we’ve got a nice buy signal, you decide to enter and ride out the bullish momentum. Now I know most people would have had a panic attack and exited the trade out of fear. Especially if you’re not used to swing trading, this kind of situation and really make negative emotions boil to the surface. 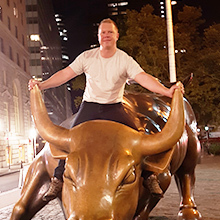 If you gave into your fears, you would have been filled with regret as the market rallied back up shortly afterwards. This is how traders get angry with the market. A second retracement occurs, and I must admit it looks nasty – but that’s the nature of USDCAD, and I wanted to show you an extreme example. This retracement would have taken a lot of discipline to hold through. It is even worse than the first retracement situation, because you’re watching your floating profits from the trade diminish as the retracement eats them up. Another massive test of discipline by the market. Do you think you could have held this trade? Like I said, this one was an extreme example, but this kind of thing happens all the time and it scares people out of their trades. You’ve got to come to the realization that retracements are normal, and you should expect them. So next time you open a trade, don’t expect your trade to move into profit and stay there – expect retracements which may look bad as some points in the trade, but the important thing to do is to see your trade plan through. 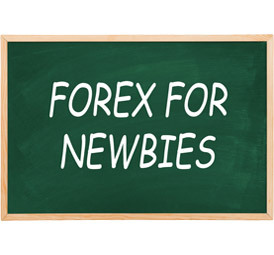 If you can get over this mental hurdle, you will start to see more success in the Forex market, because your trading will start yielding higher return on investment and make it easier to grow your account. 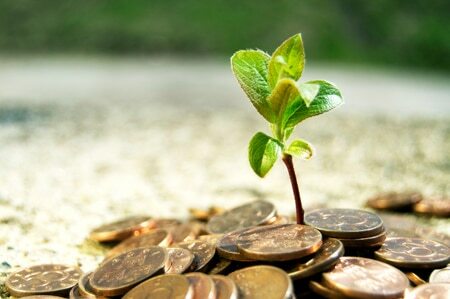 Trader’s want ‘instant gratification’ with their trades – meaning a trade moves into profit and stays there. The reality is most trades will go through retracement before they hit their target, and that may cause some temporary scenarios they will play on your fears and cause that knee-jerk reaction. 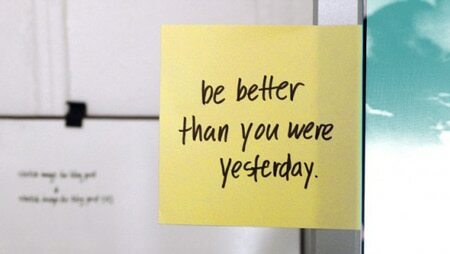 The best thing you can do is stay disciplined and let your trades ride out to their targets. Let the stop loss and target levels do the heavy lifting for you. 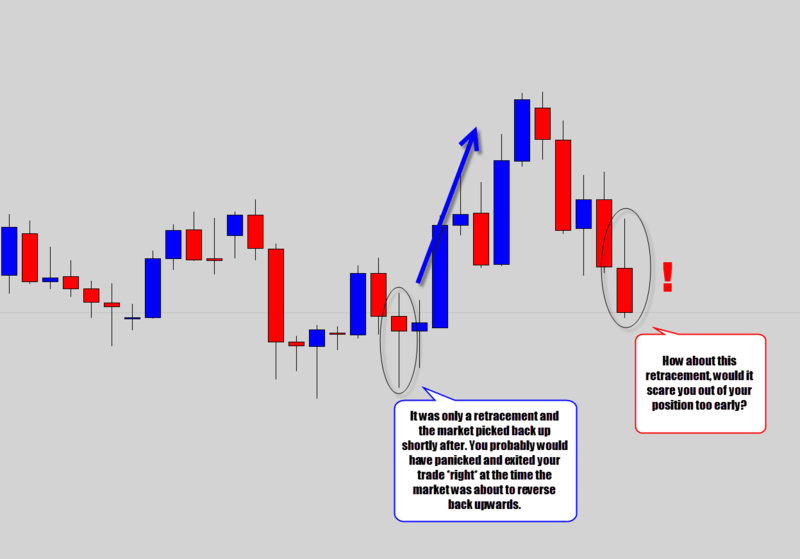 I help educate many traders on a daily basis – I witness the mistakes Forex traders are making everyday. This is how I get the insight to be able to write helpful tutorials like this one. 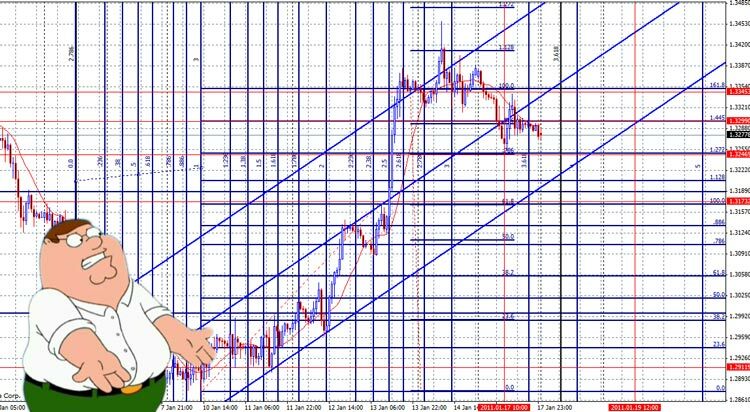 A big issue with many trader’s charting template is the disarray of technical analysis – where an overload of horizontal levels, trend lines, indicators, Fibonacci ratios etc. etc. are stacked on top of one another. Firstly, you need to keep your charts lean and clean. Don’t be the trader who ‘looks too deeply’ into things. You will end up with situations where you’ve got all this data conflicting with itself, never being able to make a clear concise trading decision. Another common issue is where I see traders diverting too much energy into analyzing their charts on a micro level, dropping down to low time frames, and trying to ‘psychoanalyze’ minor price movements – extrapolating fancy trade ideas from the insignificant chart data. The honest truth is it can be hard to stop a trader from approaching the market like this when they’ve already set their mind to it, because it is more ‘exciting’ for them to dive in head first and get involved with the fast paced price action. Eventually it leads to a burnout, or some other breakdown in their trading – it’s only at this ‘bottom of the barrel’ moment they are usually willing to listen to alternative ways to analyse the market. 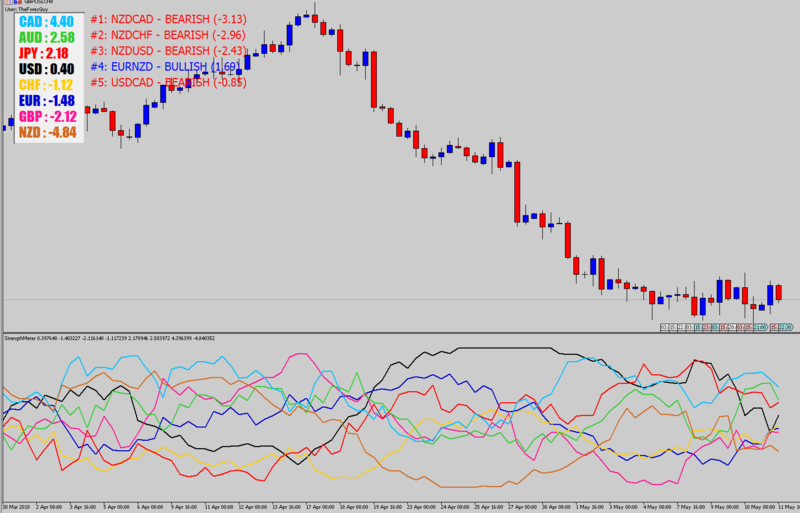 If you’re not doing this already, one of the biggest changes you can make to improve your chart reading skills is to switch to the ‘top down analysis’ approach. This technique requires you to look at the larger scheme of things and do your macro analysis first, then scale down your analysis – but always keeping the bigger picture in mind. In the War Room, we’re always keeping in mind the bigger weekly structure levels, like we discussed in the first segment of this article. 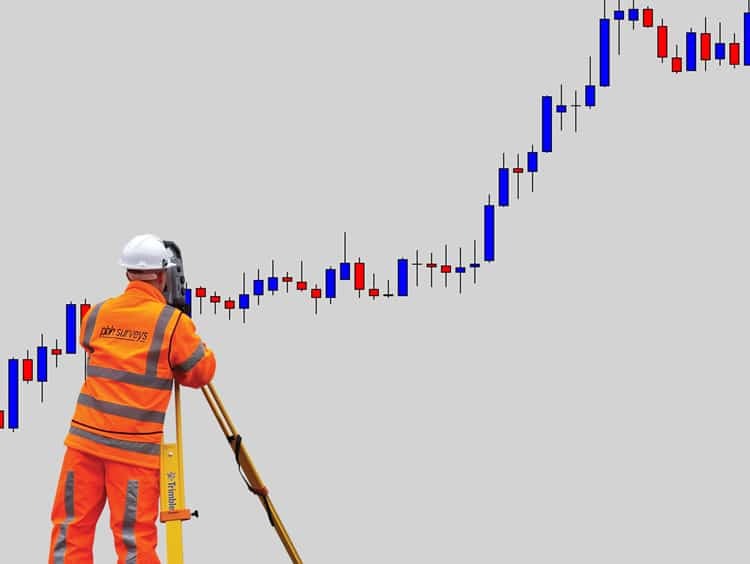 When we scale down our analysis, we normally don’t step below the 4 hour time frame – because beyond there, the charts become too unreliable for swing trading. Don’t get fixated on lower time frames and use them to hyper analyze the market. 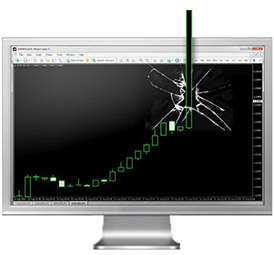 Don’t overload your charts with a barrage of technical levels and tools, and indicators even. Just keep your charts lean and clean so you can perform your price action analysis with the utmost clarity. Switch to a ‘top down’ analysis approach, a technique that looks at the bigger picture first and scales in, but always keeping the bigger picture in mind. We’ve covered a lot of ground in this lesson, and I believe if you take these tips on board, utilizing them in your trading – you will see a big impact in your trading performance. Price action and swing trading are really the holy grail of trading approaches for me and many other traders – nothing comes close. 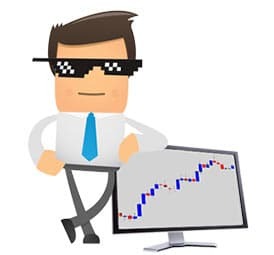 If you can master swing trading, you will be rewarded not only with with return on investment, but with a sense of accomplishment for being able to read a plain price chart, interpreting and identifying your own trading opportunities, and have the discipline to see them through. 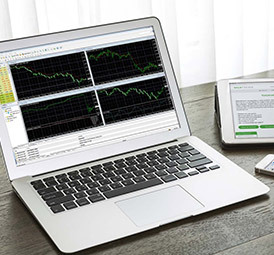 If you’re serious about learning how to becoming a swing trader, and want to master it so you can take advantage of the many benefits swing trading provides, then I urge you to check out our Forex War Room. The War Room is a growing private are that I operate. 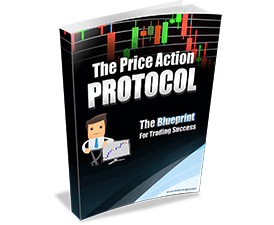 It contains the Price Action Protocol which is a swing trading and breakout Forex trading course that uses price action trading to find high probability trades, like the ones I’ve mentioned in this article. 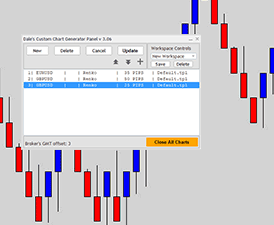 I also have creates some very powerful tools for MT4, like the Price Action Battle Station Indicator which is a candlestick recognition algorithm that will find trading opportunities from the course and notify you via your smart phone. That’s it from me, see you around the site. Best of luck with your trading this week! Very informative , easy to understand & most importantly, makes a lot of sense. Thank you. TFG, you are a precious gift to this generation. Thanks so much. This information is priceless. My printer hates you. I love you!Your articles and videos are invaluable. Thank you! Maybe you lost a lot in Forex. 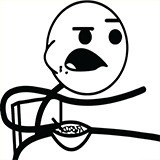 You are disparate that's why you can't absorb any lesson given to you. Thank you for the continuing education! Very clear , great! thanks again for your lessons. The battle station tool indeed is of great help, as also your other tools. 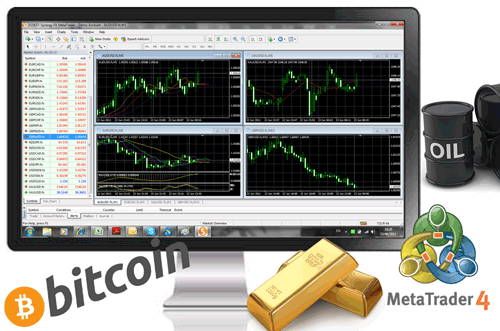 theforexguy.com has provide me with a lot of assistance in the trading business. I never thought that, even in the very beginning I would be able to make so much money in my every investment turned out to be profitable. All thanks to the help from educated administrators here. Thank you so much very clear education. Great article Sir,very educational and informative.I hope one day,I will afford to join your warroom. TRADE IN POSITION You said in trending market we Buy Low by taking advantage of counter trend market, do I still need to considered support level for Low price before I buy? Support levels help, but ultimately you're looking for a buy signal that creates the next higher low to show counter trend movement is likely over, and the trend pressure is returning. HEy! HEy! I dont want to miss this tread... I just want to say Thanks....... Is that OK? This has helped me more than anything else I have read. Please let me know how to find more of your tips and help. Again,,,, Thank You for taking the time to do this. Genius - I have been struggling with swinging due to replacements for so long. Your article may not be a cure at the moment, but it is definitely a start for me. "Plan your trade, Trade your plan"!! most people are selling this knowledge at super expensive prices, why would you give it out for free? God bless you! Trend is your friend until it ends. Excellent article. Do you have an article on patience? Outstanding .train the brain.very helpful on handling the position in trade.i may trade better after reading this finest article on swing trade.thanks a lot.